Since 1976 the Tapestry Studio has worked with contemporary artists and designers to translate their images into woven tapestry. 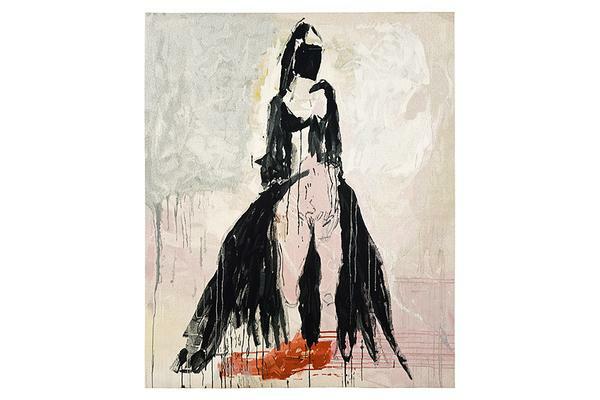 Since weaving 23 tapestries for The Henry Moore Foundation, 1976 - 1987, the Studio has worked with artists John Piper, Howard Hodgkin, Eileen Agar, Matty Grunberg, Philip Sutton, Bill Jacklin and Adrian Berg. More recently the studio created five tapestries with Tracey Emin and worked with Martin Creed on, Work No.1683 for What's the point of it? at the Hayward Gallery. 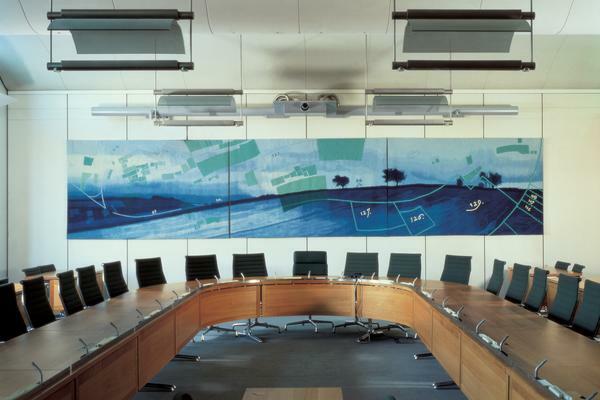 As well as artists, the Tapestry Studio has produced work for clients including the Houses of Parliament, The Mercers Company, The White Cube Gallery and Great Ormond Street Hospital. 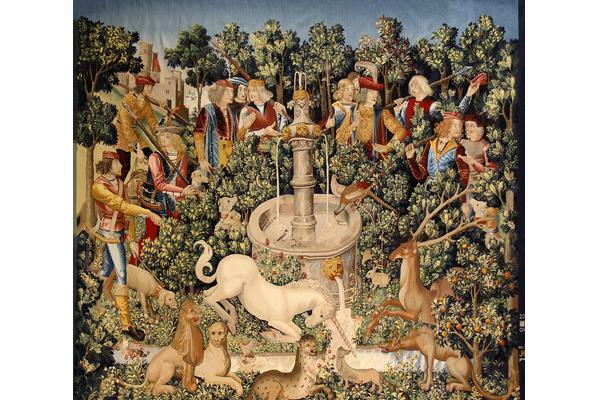 It has extensive experience of heritage tapestry projects, including The Hunt of the Unicorn, a series of seven tapestries based on 15th century originals commissioned by Historic Scotland. 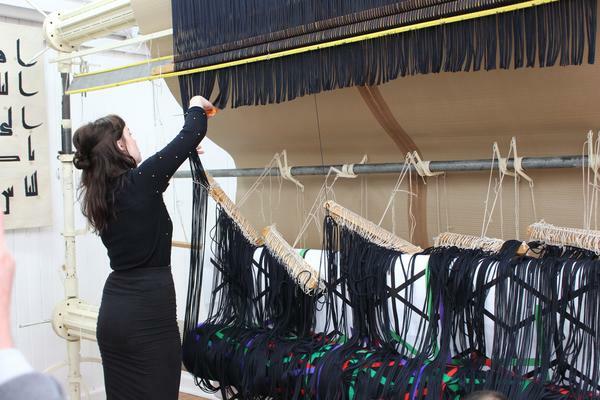 It was the biggest weaving project undertaken in the UK for 100 years, involved 18 international weavers and took 13 years to complete in 2015. Artist: @Tracey Emin, weavers: Caron Penney and Philip Sanderson. 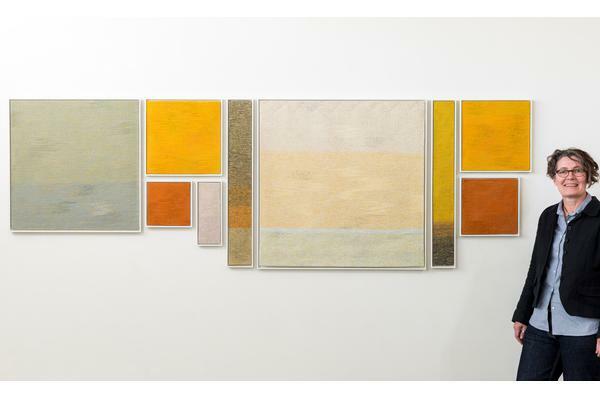 The tapestry was shown at COLLECT 2011, at the Saatchi Gallery. Photo Credit: Steve Speller. West Dean Tapestry Studio was commissioned to weave a unique piece of textile art Called Play, designed by British designer Faye Toogood. 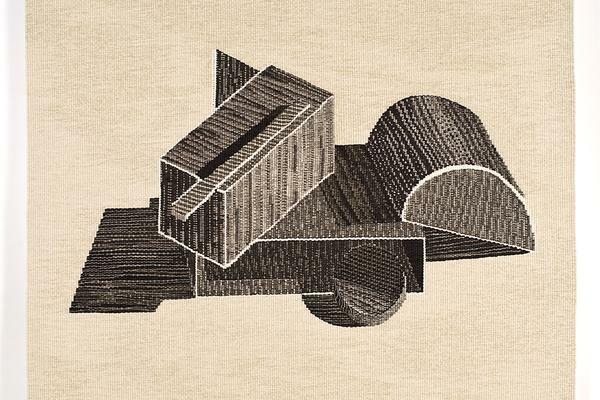 The tapestry formed part of Faye Toogood’s Furniture and Coats Roly-Poly Assemblage No. 4, to be exhibited at the Internazionale Salone del Mobile. Tapestry woven by Master Weaver, Katharine Swailes. 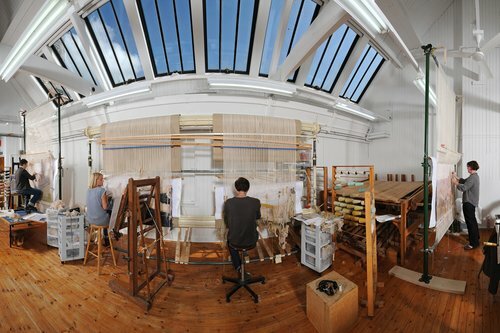 The tapestries for Stirling Castle were woven by the West Dean Tapestry Studio working alongside Historic Scotland and the Historic Scotland Foundation. It took three weavers, Caron Penney, Katharine Swailes and Jo Howard, a total of 16,647 working hours to complete this one tapestry over three and a half years. 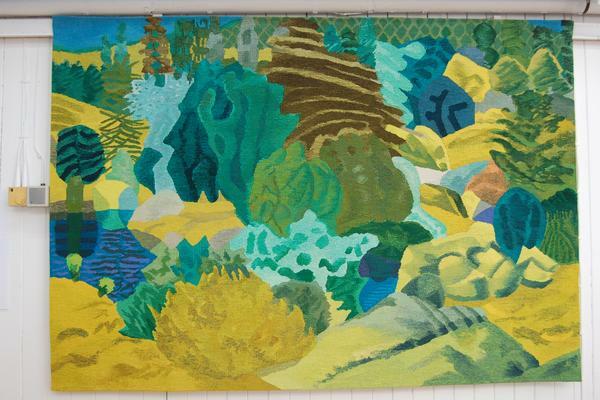 Tapestry Designed and woven by Philip Sanderson. Title: Parliament, located at Palace of Westminster. 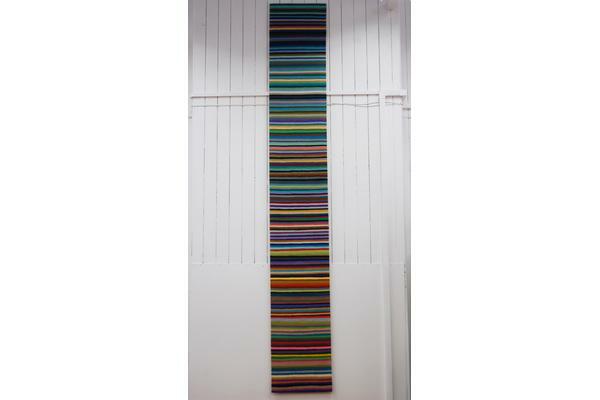 Tapestry woven by Valerie Power at West Dean Tapestry Studio, artwork by Adrian Berg. 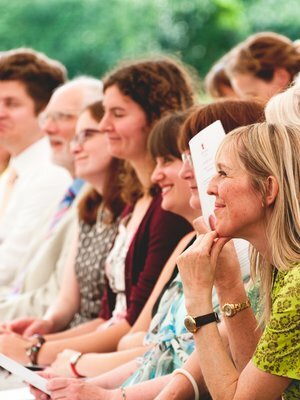 Titles: Leighton Hall 21st July. 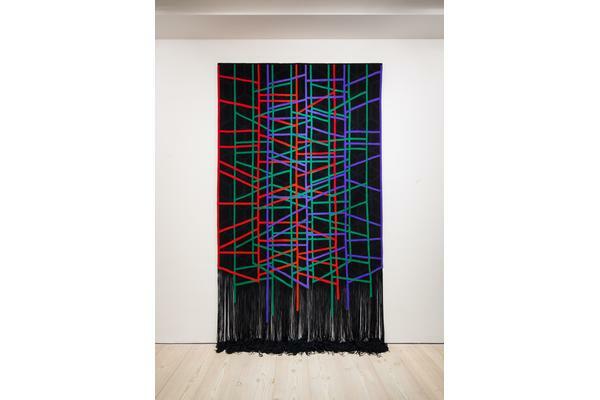 Artist in residence, leading sculptor Eva Rothschild, collaborated with our tutor and master weaver Phil Sanderson at the West Dean Tapestry Studio. 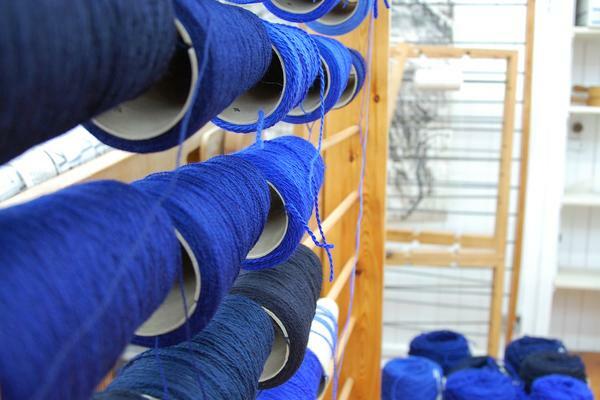 This follows our Open Call in 2016, possibly the first UK Tapestry Open Call. 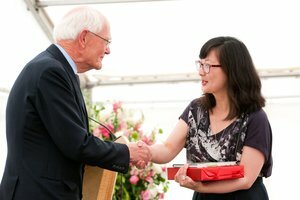 This collaboration will see a unique, hand woven tapestry produced at the West Dean Tapestry Studio. 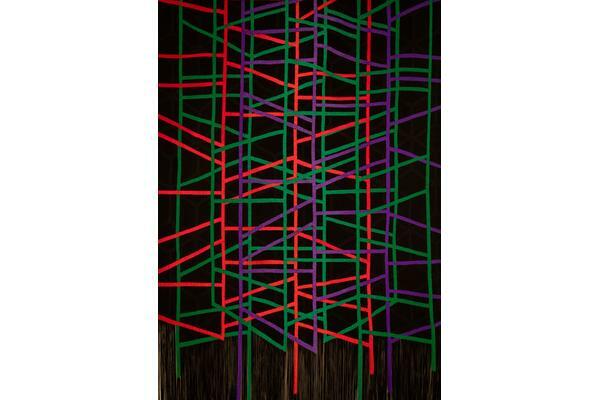 The new tapestry The Fallowfield from Eva Rothschild was on show at Collect 2018. 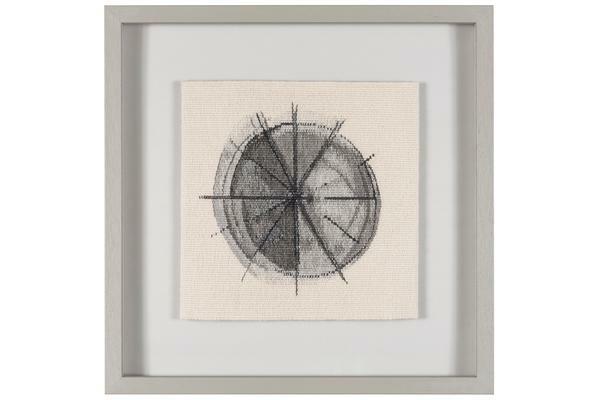 Eva is primarily known as a sculptor, although she has always engaged with ways of making associated with textiles, most specifically weaving and rug making, and has a longstanding interest in the ways that artists have engaged with textile making. 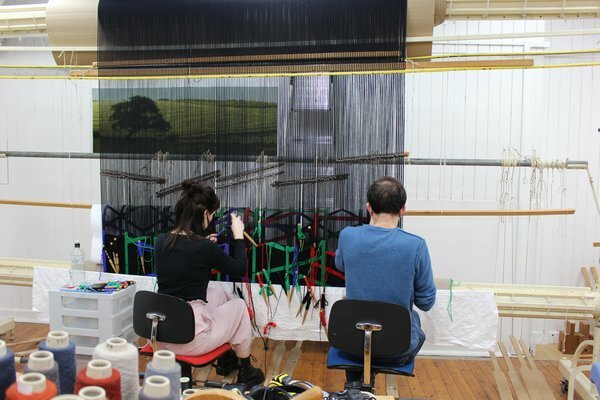 This commission, coordinated by Master Weaver, Philip Sanderson, has given Rothschild the opportunity to learn the principles of tapestry weaving with expert tutorage in the professional studio. Learning these principles has informed the final design which has been woven by Master Weavers. 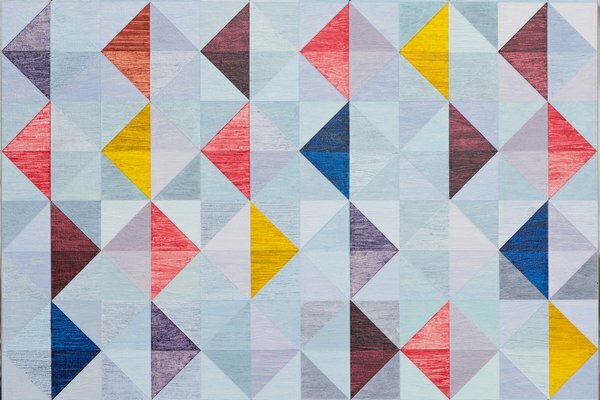 View the tapestry that was on show at Collect 2018 and the cutting of the tapestry below. 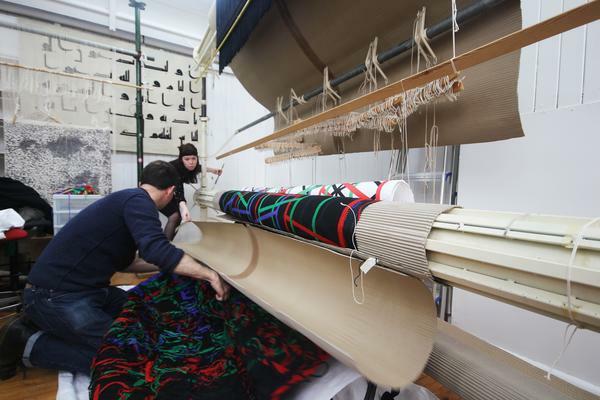 Eleanor Rudd and Philip Sanderson cutting off the Eva Rothchild tapestry, exhibited at Collect 2018. 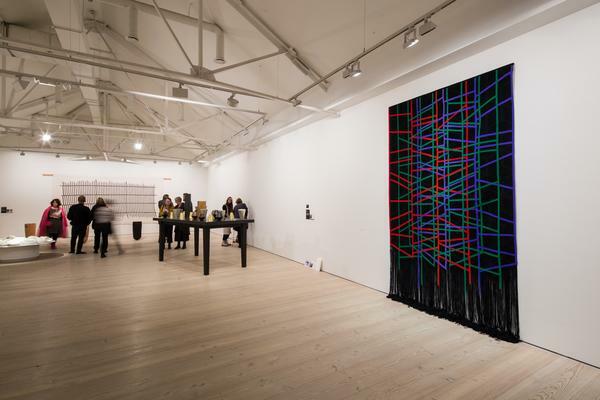 Cutting off the Eva Rothschild Tapestry, exhibited at Collect 2018. 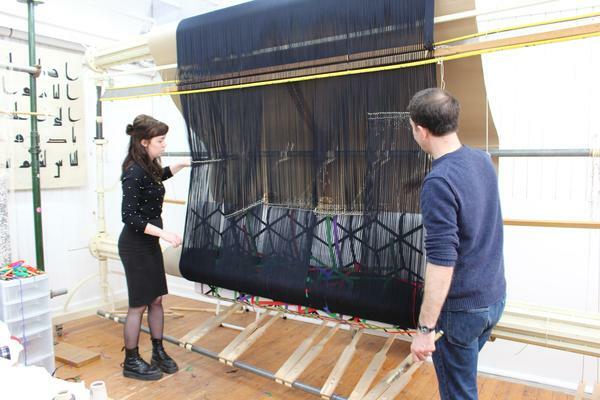 Eleanor Rudd and Philip Sanderson cutting off the Eva Rothschild tapestry, exhibited at Collect 2018. 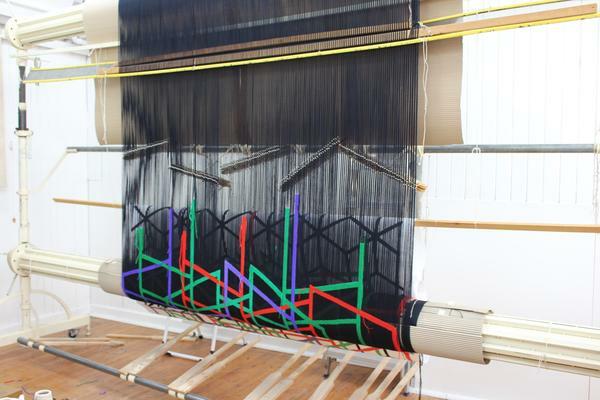 The final cut of the Eva Rothschild Tapestry by Eleanor Rudd. 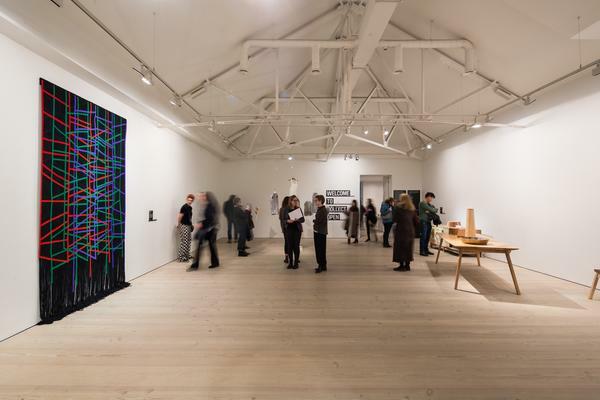 West Dean Tapestry Studio Symposium 2017 focused on the relationship between art and craft, as well as questioning the role of making and the maker in contemporary practice. The Symposium expolored how collaborations between artists and makers can inform each other's practice, through a number of speakers, including artists currently working with the Tapestry Studio. It will explore how tapestry can tap into a the current interest in skill-based making in contemporary art. 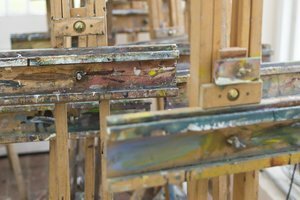 You are invited to view West Dean Tapestry Studio and meet the weavers at our open Studios on Wednesdays 1.30-2pm. Groups are asked to book in advance please. Please phone the Studio beforehand to make appointments and check that it will be open, on 01243 818233 or 01243 811301. 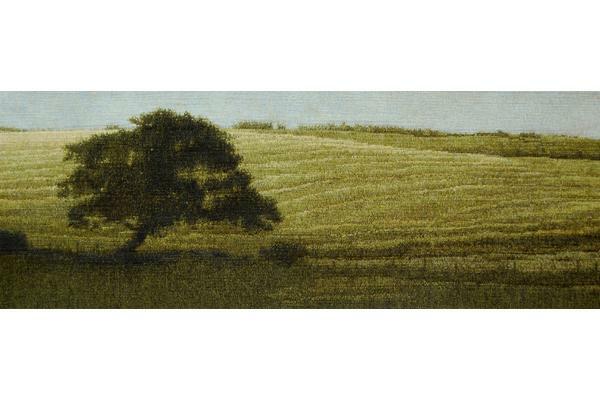 For further details on commissioning a tapestry, please contact Philip Sanderson, Studio Leader, who will be pleased to provide further information or arrange a visit to the Studio.